It’s completely natural for people to feel a bit overwhelm when it comes to shipping an RV which was used for camping. Not to mention the obvious cost, there are a variety of important issues you need to take into account such as shipping regulation, distance, insurance and others. That being said, as long as you give yourself a sufficient amount of time to prepare properly, the task should be more or less manageable. In the case you simply have no idea about what needs to be done, you come to the right place, you can easily rent a RV, or article would provide you with a comprehensive, step by step guide on how to ship a standard recreational vehicle countrywide as well as worldwide. 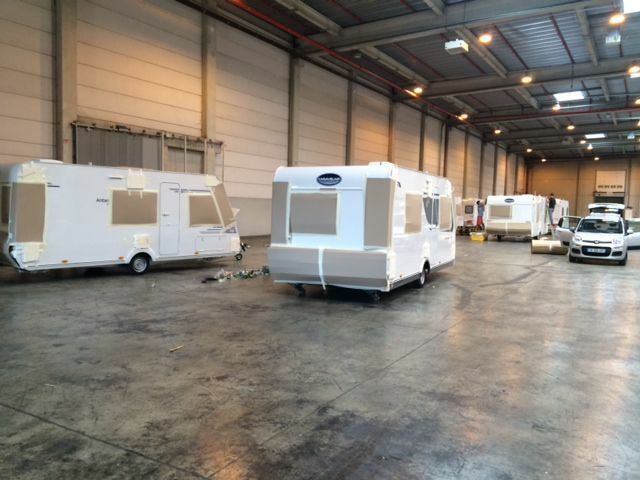 Read the information below carefully and you should see that the task of shipping a conventional RV is not harder than transporting a sizable truck. As you already know, vehicle transportation is not cheap and RV shipping expense in particular could reach thousands of dollars. Fortunately, you could save yourself a headache and use online calculation tools in order get a cost estimate of an RV shipping operation. Many websites provide people with a wide range of shipping options so they could select the time and place that match their situation the most. While it’s definitely not impossible for you to plan everything on your own, you should consider buying a shipping package from a credible carrier. All you have to do is to note down the characteristics of the vehicle (condition, dimension, weight, …), call the carrier and get a shipping quote. You could compare quotes from multiple places along with the quality of their service to see which carrier offer the best deal on the market. Generally speaking, it’s advised for you to arrange the vehicle transportation in advance of the move date to achieve a certain degree of flexibility. That should help you avoid getting stuck with a barely acceptable shipping service which is often the case in last minute planning. In some cases, you may find out that it’s going to be beneficial to adjust the move date so the day the vehicle leaves/arrives won’t interfere with your schedule. To make it easy for the customer, several carriers such as DAS have come up with a convenient drop-off/pickup option. You only need to give them a 24-hour notice before you could drop off your RV at one of their holding facilities. In the case you don’t really have the time to do that, contact the place, explain your situation and they should send someone to pick up your RV within 72 hours. 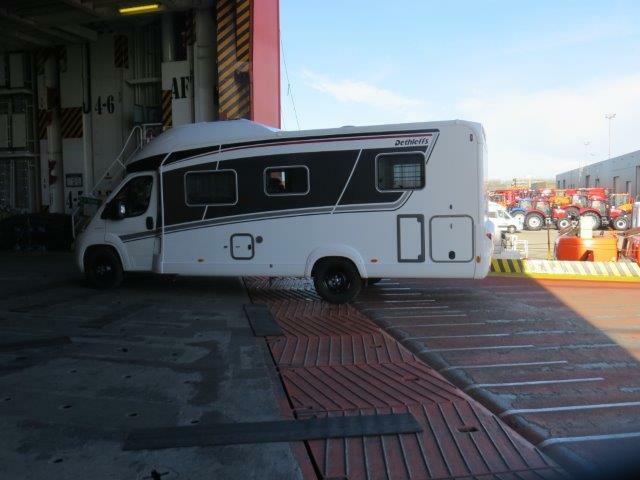 There are a variety of methods available when it comes to shipping recreational vehicles, you just have to pick the one that suits your taste. For example, motorhomes are mobile so you could go to a carrier that offers drive-away and have them drive your RV to its destination. This method is pretty straightforward and you don’t have to go through a lot of document but it does lead to inevitable wear as well as increase the vehicle mileage. Another popular shipping method is a flat rack container, its appearance is quite similar to an oversized flatbed truck. 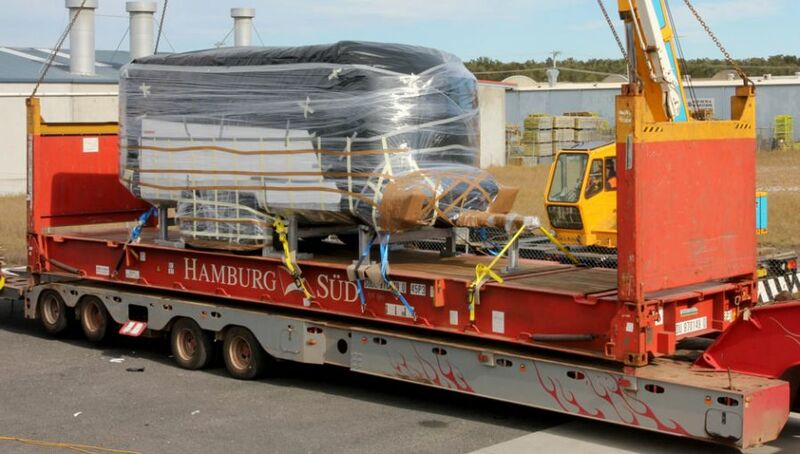 Your vehicle shall be loaded into the container and placed on a transport vessel. Since the shipping container could support up to 88,000 pounds, it should have no trouble handling standard RV. The method is most suitable for motorized vehicles but you could hire a towing service to take care of towable ones as well. Take some time to look for a carrier that could match your requirement, don’t decide until you are certain that you have the best deal. To avoid leaving your vehicle in the hand of a shady company, you should consider taking a look at the place service record and its legitimacy. It’s also recommended not to choose a carrier with an abnormally cheap service price, low estimate usually suggest a lack of insurance and potential hidden fees. In the case money is not a problem to you, you could simply contact freight brokers and let them take care of the rest. They would help you plan the shipping of your RV down to the last details for a price which saves you a lot of time and effort. Using a freight broker is very convenient when you have money to spare and don’t want to deal with all the hassle of shipping preparation. However, the employment of freight broker adds extra cost. Prepare a set of key and a list of instruction in case something odd happens. In the last step, you should contact the carrier one last time to confirm all aspects of the shipping operation. You could use this opportunity to inquire the company about anything you don’t understand or want to make adjustments. If you have to drop-off your vehicle at the shipping service facility, remember to drive carefully. The carrier will not be held responsible for the damage caused by the customer so keep your eyes on the road.